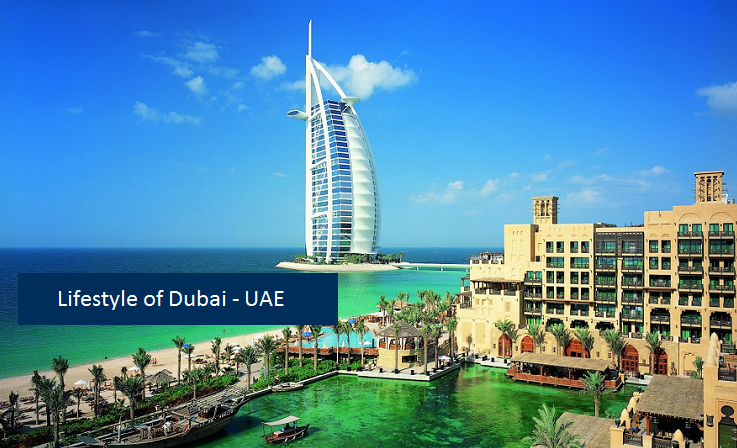 Dubai is a favorite destination for tourists and entrepreneurs from all around the world. World famous tourist spots and business friendly opportunities have converted Dubai from a typical Middle Eastern destination to an international city. Large number of expat population and local Emirati citizens are living together that has influenced the lifestyle of Dubai which is completely different from other major cities of the gulf area. Following are few of the aspects that shape the lifestyle of international city, Dubai. Despite the presence of many westerners, almost the entire local population is Muslim and there are large number of expat Muslims living in the city. This makes Islam the most important feature in the lifestyle of Dubai. There are several beautiful mosques in Dubai but practice of other religions is also allowed and few Churches and buildings related to other faiths are also established in the city. Many Emirati men and most of women wear their traditional dress but it is not compulsory for foreigners. But it is also important for them to dress modestly in public. It is mandatory for women to cover their body from shoulders to knees. Non-Muslims are allowed to drink liquor after getting license from authorities but driving in drunken state is strictly prohibited and can result in deportation. Alcohol is only available from hotels and separate restaurants can’t sell alcohol. You can’t eat and drink in public during Ramadan. PDA is also strictly prohibited. People from around 200 countries are residing in Dubai and several among them are happy to extend their stay in the country than the duration they planned earlier. The reason behind adopting Dubai as their residing place is the higher quality of life they get in Dubai. Few of the examples are quality of health care, quality of childcare, quality of education and best safety and security. Despite few restrictions, the lifestyle of Dubai provides several benefits to women also that are not available even in few highly developed western countries. The rules of dressing are quite relaxed for them as compared to other Gulf States while they enjoy complete security and lot of respect in Dubai that they may not find anywhere else in the world. An example is a ‘ladies only section’ in the Dubai Metro where men are not allowed to enter. The women are encouraged for education and employment. In the Al Ain National University, 75% of students are females. As stated above, people from around 200 nationalities are residing in Dubai which gave rise for establishment of high number of restaurants providing meals for people with various choices and tastes. These restaurants and cafes are full of people, especially at evening, as people like to dine in restaurants. There are hundreds of restaurants in Dubai offering various types of food in different prices according to the area and population they serve. Dining in restaurants is an important part of Dubai lifestyle and more and more restaurants are opening in the city with the increase in population of Dubai. According to the global real estate group CBRE, Dubai is world’s second most important shopping destination after London. Dubai is home to world’s biggest skyscrapers and famous shopping malls. Many foreigners only visit Dubai to visit these unique skyscrapers and malls that provide both tourism and shopping facilities. These high rising buildings and shopping malls are full of shopping materials from around the world while you can also find several international companies selling their goods by taking advantage of higher living standard of people and tax free business opportunities provided by the Dubai govt. Shopping in these shopping malls and stores is an important part of lifestyle of Dubai. The infrastructure of Dubai is one of the best in the world. The roads are wide with very little traffic jam while the traffic flows smoothly inside the city on motorways and roads. People without cars can easily find taxis while small workers in Dubai use the efficient bus system for transportation. The highways and motorways connect Dubai with adjacent Emirati states. International travelling from Dubai is made easier with the world’s best airline ‘Emirates’. Dubai is practically a crime free city with lots of restaurants that are appropriate for an amazing nightlife in the city. But most of the nightlife is based in hotels where alcohol is freely available. Currently, Arabic nightclubs are also becoming popular among both locals and expats.